I love this week’s #BookFace. It’s fun and festive, and since we don’t have a pile of presents here at the office, Aimee Owen volunteered the use of the pile under her tree. I also love that we get to highlight our amazing collection of Young Adult Book Club Kits. “Re-Gifters” written by Mike Carey,‎ and illustrated by Marc Hempel ‎ and Sonny Liew (Minx Books, 2007) is a great example! This graphic novel follows Korean American teenager Dixie through LA’s Koreatown. It’s a well-developed characters, plot, and setting make it perfect for dedicated comic readers and those new to the genre. Check out our past #BookFaceFriday photos on the Nebraska Library Commission’s Facebook page! 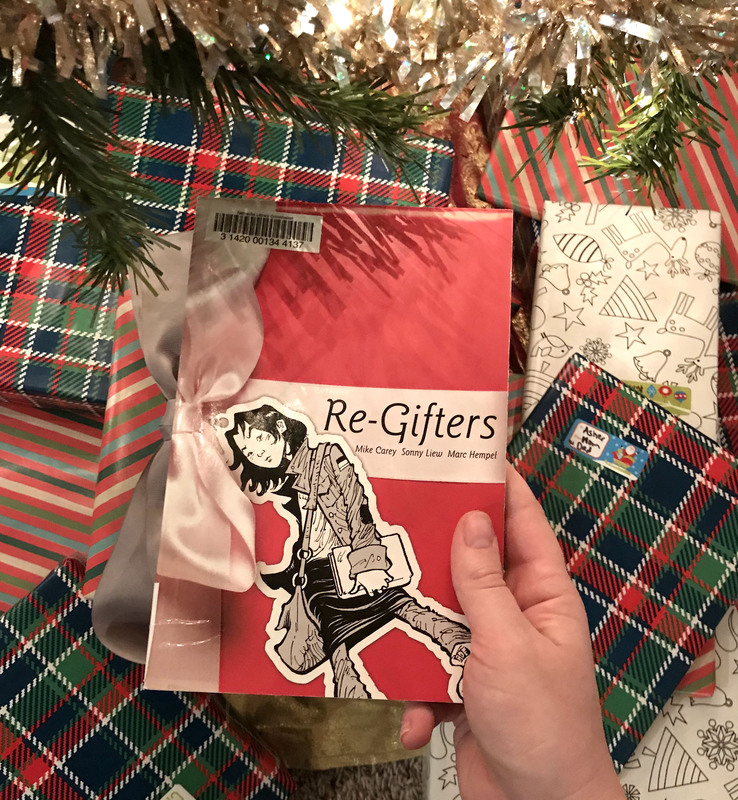 This entry was posted in Books & Reading, General and tagged Book Club, Book Club Kits, Book Covers, bookface, bookfacefriday, books, Comic book, Fiction, graphic novel, Re-Gifters, YA, Young Adult. Bookmark the permalink.